If you work with computers a lot you would have, at some point, forgotten passwords, either online in your web browser or inside Windows applications. Quite often these passwords are saved by Windows and displayed as asterisks * ***. So what do you do if you need to reveal the password that is hidden underneath those asterisks? 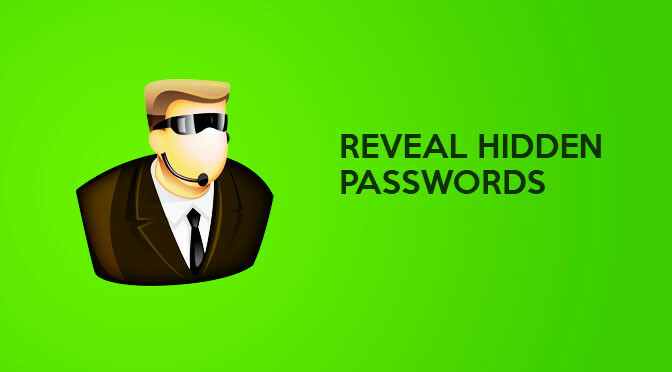 Fortunately there is a free application released by Passware that allows you to very easily recover hidden passwords from Windows and it works in almost every application and web browser! 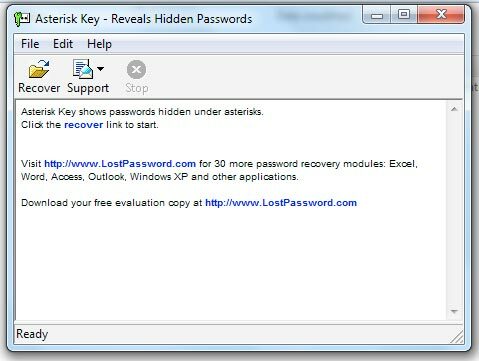 It is called Asterisk Key and you can download it from here. I used it myself today at a client’s house during a job setting up a new modem. He had forgotten the password for his internet account so I was able to recover it from his old modem using this utility, it saved a lot of time trying to guess passwords or ringing the ISP and being put on hold for hours on end! It is 100% spyware and malware free and better still 100% FREE to use. Jennifer Carpenter – I am a scrapbooker and phoergoahtr, and i use photoshop in my work.My comment to you is your photos are wonderful. I love the way you use haze. I’ve always tried to avoid it, but you have made it look so inviting to challenge myself in using it. THanks! Previous Previous post: Solved: Can’t Access My Recovery Partition & I Don’t Have Any Recovery CD’s! Next Next post: Fill-In Curry Judge Can’t Stand The Heat. Hilarity Ensues.